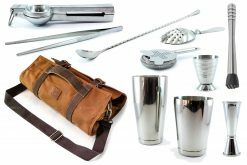 We have a selection of three Bartender Bags for the home and professional bartender. 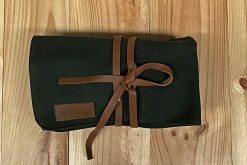 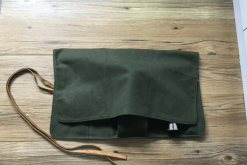 If you want to pack light and carry your essential tools then the heavy duty Canvas Roll Up Bag would be most suitable – it holds 6-8 items and is perfect for throwing in a travel bag to protect your gear whilst on the move. 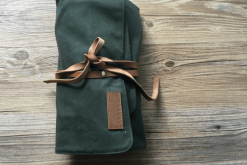 Next, we have the Bartender’s Shoulder Bag for throwing over your arm. 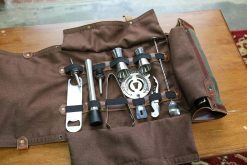 You can carry your entire bar tool set (approx. 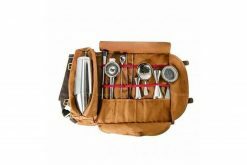 10 items) and it even has a protective zip up compartment for your prized cocktail shaker. 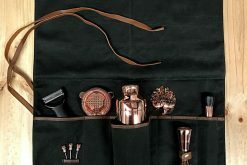 Lastly, we have selected one of the finest, Handcrafted Bartender Bags available. 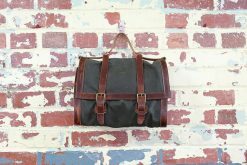 Designed and handmade in the USA, featuring durable canvas and premium full-grain leather. 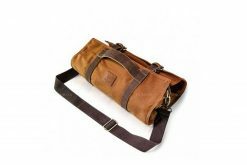 This bag not only secures your bar tools but is a stylish show piece for the trendy, travelling bartender.